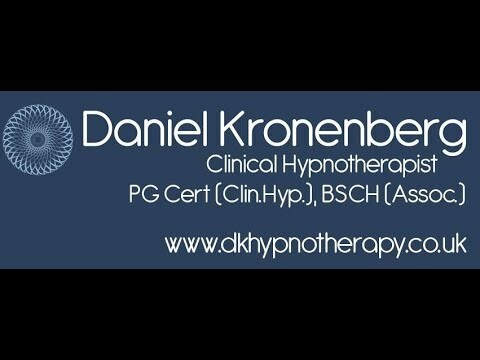 My name is Daniel Kronenberg and I am a hypnotherapist based in Bath and Salisbury. I trained in clinical hypnotherapy at The University of West London at Postgraduate level and offer hypnotherapy to enable you to move forward in your life. Whatever you want to overcome be assured that experienced and highly qualified help is at hand. I help people, from all walks of life, find peace and resolution as quickly as possible by implementing targeted and sustainable solutions to their problems. I can assist you in achieving your desired goals in a supportive and calm environment utilising the relaxing state of hypnosis. By using a tailored approach that's just right for you, you will be able to gain a new perspective on your situation thus helping the desired changes to occur. If you feel that now is the time to make those changes in your life and you are committed to making that important first step, then please don't hesitate - give me a call. I practice in central locations in Bath and Salisbury in The Practice Rooms - two beautiful Georgian properties which provide an atmosphere of calm and tranquility. I also offer online sessions. Please contact me via the Email button above for more details. A warm welcome in the comfortable environment of my relaxing, quiet treatment room. A free telephone consultation where we will discuss in depth your individual needs and goals. An agreed treatment plan which is tailored to help solve your issue as quickly and appropriately as possible. Tailored clinical hypnosis which has been crafted especially for you. Professional aftercare advice and on going support via phone or email. I trained in Clinical Hypnotherapy with the London College of Clinical Hypnosis (LCCH). The LCCH’s partnership with The University of West London is an historic development within the hypnotherapeutic profession. For the first time individuals have the opportunity to gain a bona fide postgraduate university qualification in clinical hypnotherapy. As well as providing a comprehensive practical training in therapeutic applications of hypnotherapy, the course involved an academic study of the major schools of psychotherapy - cognitive, behavioural, analytical and individual psychology and how to apply the psychological theories, behind these schools, to the hypnotic model. I was awarded a Postgraduate Certificate in clinical hypnotherapy and I am also an associate member of the British Society of Clinical Hypnosis (BSCH), which provides ongoing professional development and requires a strict code of professional and ethical conduct. I am also registered with The Complementary and Natural Healthcare Council (CNHC). The Department of Health recommends that members of the public always consult with a CNHC - registered professional. I was previously a volunteer therapist for Anxiety UK for 4 years. I now currently volunteer my services in Salisbury with Wessex Cancer Trust. I offer hypnotherapy to their members in their premises. The Stop Smoking session costs £140 and the session will last one and a half to two hours. Follow up Stop Smoking sessions, if required, cost £70. As I believe that you should feel I am the right therapist for you to work with, I offer a FREE CONSULTATION on the phone or face to face for up to 30 minutes so that you can make an informed decision. Hi Daniel. It's been 8 weeks now since I came and saw you to help me quit smoking. I have not had a cigarette since and don't crave one either which really has surprised me as most people I know who have quit say they still crave one. Since quitting smoking, my life is really changing not just health but I am positive. I also find I am more calm and I could not have done this without hypnosis help. Thank you very much for your help. Update - Hi Daniel it's now 6 months since I saw you and still have not had a ciggie and don't crave one either even when I am around people smoking. I came to see Daniel with my cigarettes and lighter in my bag not sure how I would ever be able to give up my 'old friends'. Through discussion and hypnotherapy, the decision to give up smoking came from me. I chucked the cigarettes and lighter in the first bin I saw on my way home. Little did I know that I would get a serious case of pneumonia a few months later and having given up the cigarettes I was able to fight and recover from the illness. I can honestly say that I am holding strong with my decision and have very few cravings. I desperately wanted to give up smoking & Daniel was recommended to me by a friend. I had stopped smoking before for fifteen years after a hypnotherapy session with someone else but for some reason had started again. I was quite worried that it wouldn't work for me a second time....but it has. Daniel was really easy to talk to & incredibly knowledgeable about the work he does, I had a real sense that he wanted the session to work for me as much as I did. I have tried numerous times to give up smoking always feeling miserable and tearful and although not wishing to smoke found it preferable to not smoking. I visited Daniel thinking it was worth a try although sceptical as to whether it would work - but hey what did I have to lose! I have smoked for over 40 years and I can truly say that since I had my last cigarette over a week ago I have not missed them or really thought about smoking. It is really odd and I am quite surprised that I have not experienced any mood swings or anxiety. It is almost like I never smoked - I have had glasses of wine, been out for dinner twice and not once have I craved a cigarette! Amazing! I was a smoker for 35 years. I wanted to stop smoking completely but was not great on will power - especially when under stress or having a drink! I thought I would give hypnotherapy a try so I found Daniel online, reviewed his website and liked what I read. When I arrived for that session the room was warm and comfortable and very soon I was drifting into a nice relaxed space whilst we talked through some of the whys and wherefores of my smoking. I didn't go into any deep trance, just a really relaxed state and suddenly discovered I was already a non-smoker!! A few select words from Daniel and something happened very quickly for me. It was like a switch. To be frank I hardly believed what I was feeling. I left feeling intrigued as to what would happen. Had I really given up? What would happen when I next felt stress or had a drink? I can report that now, nearly three months later, I am definitely a non smoker and feel very pleased with myself for taking the action to get it sorted. Only wish I had done it sooner. I've seen Daniel in his clinic around 6 months ago because I needed help to stop smoking. I've been a smoker for 12 years, 20 cigarettes / day and I decided to stop smoking for many different reasons. I found Daniel's profile on the web and I gave him a call, we had a chat for 10, 15 minutes and he explained me that the hypnosis would have helped only if I really wanted to give up, he explained me that the motivation should start with me in the first place, and I really appreciated that. I met him a week later, we had a conversation in his practice and, after that, he hypnotised me . When we finished I went home and I smoke 3 or 4 cigarettes, but, since the day after I haven't been smoking. I think that my motivations, together with the consultation with Daniel, are the main reasons why I manage to stop smoking, but I think that the hypnotherapy helped a lot as well, to give me self confidence in what I was gonna try. Daniel is a very nice person, not just a great professional, and hypnotherapy shouldn't scare. Although I was sceptical regarding hypnotherapy, based on a friend's positive experience, I decided to give it a go. Daniel has helped me enormously with my anxiety. I would fully recommend him. Hypnotherapy has been a massive help to me with dealing and moving on from my childhood traumas. It changed my life. I went to see Daniel for my confidence, anxiety and overthinking. After just two sessions I was able to find clarity on why I was feeling the way I was. Daniel's calm and caring nature is the key to why he is so good at what he does. A truly skilled Hypnotherapist. Thank you. I came to see Daniel with anxiety which felt like it was taking over. Daniel helped me to overcome this anxiety by using hypnotherapy to clarify my feelings and help me to put things into perspective, I noticed a change immediately with more energy and focus, Daniel also gave me practical advice and support with relaxation strategies and a relaxation tape to use at home, I feel that I can cope more effectively and have been using the relaxation tape regularly. Thank you. I had treatment for an anxiety issue. Daniel delivered targeted hypnotherapy based on an exploration of the issues. Daniel Is warm, interesting, and easy to talk to. Working with Daniel has improved my comfort level in challenging situations significantly. Daniel reads widely on the mind and shares what he knows in a really accessible way. He helps you to manage your own mind in a positive way, and gave me knowledge and tools which will continue to be valuable to me. I am happy to report that all is so much better now thanks to the sessions. I have totally given up drinking. I am steadily losing weight. I am getting to sleep much easier and I am feeling a lot more relaxed all in all. It has been life transforming. I'd come to see Daniel to help take control of my life and to help me focus, his calm, friendly approach helped me relax and get to the issues I needed to solve. I found his hypnotherapy so useful in dealing with things such as pain management, self worth and dispelling niggling doubts. I'm now better able to manage and plan my life and no longer feel overwhelmed by things. I highly recommend anyone seeing Daniel, my life has changed for the better since working with him. I have worked with Daniel on a family issue, on an individual basis to begin with and later as a family. Daniel's repertoire of skills in both hypnosis and facilitation of group therapy was immediately obvious. Not only does Daniel have these at his finger tips, but his his commitment and expertise to understand one's issues, problems and obstacles is exceptional and is no surprise that it is helping me make breakthroughs that I couldn't have done on my own. At all times I have felt that I can trust Daniel with problems I have kept inside for a very long time, and that he is continually thinking and innovating in response to them. Not only are the sessions excellent, but I also feel equipped to 'self-hynoptise' and deal with a range of other related issues independently. I would recommend Daniel's service without reservation. Thank you Daniel for all the help and guidance you have given me concerning my issues with confidence and self esteem. When I initially visited you I berated myself with self doubt, fear and indecision about my future. Your easy, friendly manner put me quickly at ease and I felt comfortable and safe to discuss personal emotions and interests. The guidance you have given me has helped me realise career paths that are open to me and paths I should avoid to benefit my nature and well-being. The hypnotherapy sessions have been invaluable in raising my self worth and giving me the confidence and can do attitude to stop procrastinating and motivate myself to achieving my aspirations in life. You have helped me develop strategies and insight which have resulted in me having a much more positive approach to controlling my internal, negative voice of criticism. When I first came to see you I felt anxious on waking most mornings and habitually slept through the morning in an attempt to hide from the day and myself. This is a habit which I developed in my teenage years and has continued to debilitate and stop me achieving my goals and fully enjoying my days throughout my adult life. However, at present, it is 9.00 on a Monday morning and I am up, busy, happy and positively looking forward to the tasks of the day and week ahead of me. I worked with Daniel on some self esteem issues. His non judgemental and open minded approach made me feel comfortable and safe. With his guidance and knowledge, I was able to get to the heart of the issues holding me back in life. I'm now positively excited about moving forward with higher genuine self regard. Big Thanks Daniel! I came to see Daniel for 2 sessions to see if I could figure out why I had suddenly had an onset of panic attacks when travelling, having never suffered before. Daniel was thoughtful and caring at all times and I felt very safe in the sessions. They helped me explore and work on a few things that came up and I'm really glad I chose hypnotherapy and Daniel to help me. I would highly recommend him. I went to see Daniel as my fear of spiders was really affecting my life and ability to relax at home. I had previously not sought help as I was concerned that a therapist may not understand how real this was to me and make it worse. Daniel was fantastic. He always ensured that I felt safe and in control of the process. I felt confident in him and in his caring, professional approach. As Daniel said, I won't ever love spiders, but I have a totally different feeling about them now. I know I can deal with them and the terror has gone - I am still amazed by the change! I would happily recommend Daniel. Before working with Daniel I couldn’t even watch someone getting an injection on television. The thought of needles made me cry and it was an irrational fear I could not fight on my own and was frustrated that I couldn't stop it. Not only does Daniel work with you and help you to overcome a phobia, he also explains everything, which for me is not only fascinating but also reinforces the work that is done. I now have an awesome bumble bee tattoo and was able to have a blood test, things that were just not an option for me before. I have learnt so much and have made massive progress, achieving things that were impossible before. I saw Daniel for help with tiredness initially and then mentioned my rat phobia to him. In two sessions Daniel helped me feel much less anxious about my phobia and by the fourth session I had overcome my longstanding fear of rats and I'm incredibly grateful to him for that! He listened carefully to find out what I wanted to work on in hynotherapy and used a variety of techniques to help relax me and guide me through the process. I looked forward to the sessions because two were never the same and I found it fascinating as I had never experienced hypnotherapy before. Daniel also taught me techniques that I could practice at home between sessions. I have complete confidence in Daniel and trust him - he has a broad knowledge of health related issues and was able to draw on this when he was reflecting on my particular case. Text - "Hello Daniel. I've just seen a gigantic rat through a window. I was very calm and watched it with interest rather than fear! Thank you! J." My problem was claustrophobia, pressure lock doors to aseptic changing rooms, as part of my job, and getting on to a plane, as part of my life. Not actual flying, but actually boarding the plane. I had three sessions with Daniel and I now do both activities no problem at all. Daniel was very thorough and understanding and spent a lot of time at the first session getting background Knowledge and the history of my fear. I do not relax very easily, but Daniel got me into the relaxed state that is needed for this treatment very quickly. I now use the self-hypnosis techniques that he gave me for general relaxation. I would recommend Daniel to anyone. "Great success. We summited Mont Blanc to glorious weather overlooking Italy and seeing the Matterhorn in the distance. The climb itself was very enjoyable. Most of the precarious heights were on manageable slopes and very few virtual drops. Except the ridge on the last day. It was a 100m long, 2 ft wide with a few hundred metre drop on one side and a 1 km drop on the other. The wind was also gusting between 30-40kts. I stayed focused and concentrated on my footsteps using the techniques learnt in the sessions and all went well." I had wanted to wear contact lenses for years but could not get past my fear of getting them into my eyes - even the optician struggled - two sessions with Daniel and I am now the proud wearer of lenses every day with no problems at all - even though Daniel is not a contact lens user himself he did very thorough research before my appointments and was able to help me overcome my obstacles incredibly quickly. I had a few sessions with Daniel dealing with my fear of bridges. This was because I was due to walk across Spain which meant going over a very high and long bridge. I was certain that I would not be able to do it but after Daniel's help I was looking forwards ( although still anxious) to the challenge. When I finally got to the bridge I used the tools that I had learnt in the sessions and I crossed that bridge! Without Daniel's help I know that our journey through Spain would not have been able to continue. I felt very proud of myself! My family were very surprised that I managed it too! I have known Daniel for sometime and decided to visit him in a professional capacity last October (2018) to see if he could help with an ongoing issue with flying. I was a little sceptical before our session but decided it was worth a try. I was amazed at what he achieved. I thought I would have to give up taking to the air, but on the following lesson flew the aircraft totally unaided with a perfect landing! My daughter’s very first session with Daniel had an astonishingly positive impact. The tools he has since given her to improve her confidence, to help her focus and to manage the anxiety that was building up in GCSE year have completely transformed her state of mind. She’s now tackling the stressful exam period (which she and I were both dreading) with an energy and confidence she simply didn’t have a few weeks ago. I cannot recommend him enough. I came to Daniel struggling with focus, especially during exams and school work. After just a few sessions with him my focus improved greatly and I was getting much better results in tests. I also find homework much easier to complete now I have the ability to focus. Over the two months I have been seeing him, he has given me plenty of tools to use on a daily basis and I am now much more comfortable in exam situations. I cannot recommend Daniel enough. He has helped me in number of ways and he approached me in a very individual and specific way. The experience has been very enjoyable and I now strongly believe hypnotherapy can help in countless situations. My son's levels of anxiety steadly increased when he started senior school and his education suffered. It was not until he refused to go to school that I realised there was a serious problem to address. He stopped leaving the house as passing a stranger on the street or basic communication would bring on anxiety. He had been self diagnosing himself on 'Google' and had concluded he needed mental health drugs from the Doctor. I was horrified at this thought and asked close friends their advice, Daniel was recommended and gave my son 5 sessions over 5 weeks with great results. My son is now confident enough to apply for Colleges/Apprentiships, although he is still unsure which direction to take his life. His experience of hypnotherapy through Daniel has taught him that he can control his levels of anxiety in taxing situations, which is a life long lesson. Daniel continues to email me with anything that he feels could help my son progress further. To see my son happy in his own skin is everything. I have found my experience of hypnotherapy with Daniel to be invaluable in my development of confidence and working to reduce the hold that IBS had on my daily life. 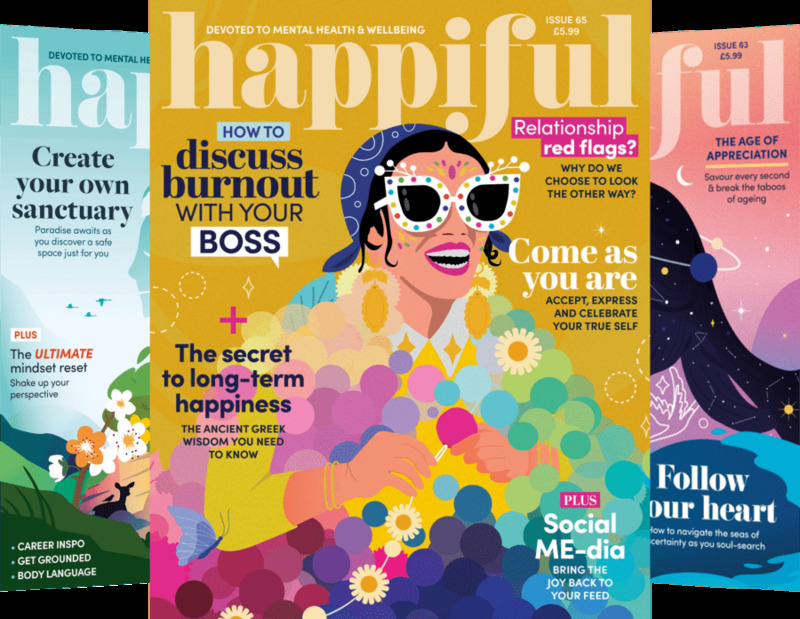 Daniel provided me with highly personalised and attentive hypnotherapy sessions, in which he made me feel entirely relaxed, listened carefully, and tailored my hypnotherapy to my needs and personality. Upon leaving the sessions, and during my daily life, I now feel more positive, confident, and have devices to continue to use and develop in my own way to keep my confidence levels up, and combat my IBS. I could not recommend enough the experience that Daniel provides, he is thoughtful, creative and very enthusiastic and well read about what he does. Daniel is a very professional hypnotherapist who invested a lot of time and effort into working with me and helping my weight loss journey. He is kind, understanding and holistic in his approach. I would recommend his services. I can't express how grateful I am to Daniel. Rushing towards my 50th birthday and tipping the scales at around 19 stone I realised that I needed to do something about my attitude towards food, and my inability to pass a cake shop without going in. He's helped me lose weight - I have lost over two stone - get fitter, feel better and really understand how much (or how little) I actually should be eating. I found his gentle approach accessible and the information and sound files he gave me to use at home were incredibly useful. I can't recommend him highly enough. Daniel has helped me understand the link between my weight and my life, my moods and my confidence. I feel empowered to achieve the weight I would be comfortable with and know Daniel is there should I need extra support. I first met Daniel in January this year (2015), for what seems to be a little known problem ‘Night eating syndrome’. I had searched on-line for a reputable therapist, and after reading Daniel’s profile decided to approach him, from my first visit I knew I had made the right choice, felt very relaxed immediately. Through our hypnotherapy sessions and various techniques Daniel improved my sleep patterns, and I no longer found myself at 2am in the kitchen eating my way through the fridge and cupboard. 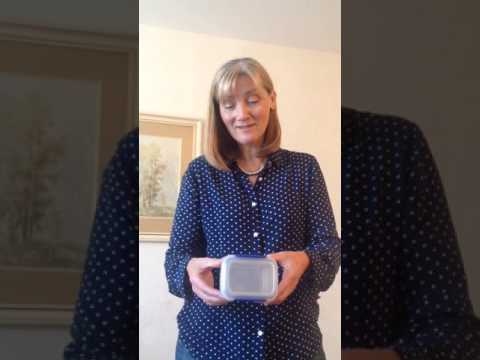 We then went on to address my ever increasing weight, and again with hypnotherapy, Daniel's guidance and discussion on nutrition, I am now eating very healthily, my weight is now decreasing at a sensible level, I’m delighted.. This experience has been quite life changing, but also enjoyable, Daniel is very easy to talk to and an amazing listener (I talked quite a lot)! I believe in hypnotherapy 100% and would thoroughly recommend Daniel to anyone who wishes to change certain and uncomfortable aspects of their life. I went to see Daniel as I was finding it impossible to swallow certain food, particularly meat, especially if I had not prepared it myself. It was making eating out, or eating with friends and family very difficult. I had three sessions with him just before Christmas (2017) and he gave me a variety of coping mechanisms. I am delighted to say that my problem has gone away and I am really appreciating good food again. I would not hesitate to recommend Daniel to anyone - I will certainly go back to see him if any other issues arise. Jo came to see me about her uncontrolled compulsion to eat both dairy and excess sugar - both of which she really knew she didn't want to eat, being lactose intolerant and concerned about the effect of too much sugar in her diet. She had also recently lost motivation to exercise.
" Hi there, it's all going brilliantly. So fascinating to be looking at a choice and not hearing the argumentative voices! No dairy, no processed sugars, no struggle. I've been running twice and seem to be making healthier choices in all sorts of ways. Thank you so much! Jo." After having sleeping problems and anxiety at night for years, a couple of sessions with Daniel has helped me no end and I'm now no longer anxious at night time and sleeping better than I ever have been. Thank you! I contacted Daniel because I had on going problems with sleep (I felt not enough) and onset insomnia, which was steadily getting worse. The main thing Daniel helped me with was to have a greater understanding of sleep patterns in older people, which alleviated my anxiety of waking during the night - a great help. And he also taught me some simple self-hypnosis scenarios, which I now regularly use. Daniel has been very good with his follow-up advice and I will be very happy to call on his service again should the need arise. Thank you Daniel for giving me the tools to overcome my "battle ground in the bedroom". I came to see Daniel as a last resort. Having suffered with lower back pain all my life I have been through every conventional treatment including physiotherapy, acupuncture, osteopathy, traction and pilates with no permanent solution to my chronic pain. Even medical specialists using x-ray, CT scans and blood tests have been unable to diagnose accurately the reason for this continuing discomfort. Daniel listened and suggested a number of hypnotic techniques we might try to ‘unlearn’ or ‘re-programme’ the brain-lower back pain relationship which has persisted since trauma over 30 years ago. After a few sessions with Daniel and working at home using recordings of the sessions my lower back pain has eased considerably. I am very grateful to Daniel for showing me this alternative. I now have a relaxing way to calm my back pain. Brilliant. I have had chronic pain for many years and been through the National Health pain management system and been taking many different kinds of medications and basically ran out of options. So I thought I would give this a try. I rang up and went to the treatment rooms in Bath, with a open-mind. Daniel taught me a few different ways to help me manage my pain relief. I was surprised how it worked for me. I would recommend him 100 percent. Thanks Daniel. I was looking to improve my concentration and performance at work and had already used Daniel to stop smoking. As before, the process was very easy and comfortable. It was good to work on "positive" things like improving what was already ok. Daniel has a lot of skills at helping you bring together resources you already possess and making them available to you when you need them. The sessions were also very generative for me in that they carried on creating insights well after the session was over. I feel very much more resourceful and focused as a result and will be returning to work with Daniel on other skills in future. I think I must take top spot for having the longest running habit at 55 years! I first started biting my nails in 1959(!!) and haven't stopped since, until that is, I met Daniel from DKHypnotherapy in January 2016. I don't know what or how he did it but he 'cured' me of my habit in one session. I'm typing this review and hearing the click click of fingernails, not the thud thud of stubby fingers. Thanks Daniel, highly recommending you to anyone I know who needs habit help. What follows is a brief account of a one session application of The Rewind Technique with a client I worked with in 2015. Permission from the client was given to publish his story..
Ben (name changed to protect the identity of client) had been working as a security guard when he witnessed the aftermath of a suicide. A young man had jumped off a warehouse roof and, although Ben had not seen the actual moment of the suicide, he was traumatised by the sight of the damaged body. Ben’s initial reaction was one of shock which resulted in an understandable inaction on his part. This in turn impacted on the traumatised memory with an overriding sense of guilt that he hadn’t been able to help the young man who was still alive at that time but died shortly afterwards. When Ben came to see me, almost 6 years after the incident, he reported experiencing some common patterns of trauma – vivid memories as if they had happened very recently; avoidance of anything which might trigger any recall – in this case watching any graphic scenes of accidents or operations on TV and the strong emotional component of guilt was still present. After listening to Ben, I concluded that The Rewind Technique was an appropriate intervention for his trauma and during one hypnotherapy session I carried out the procedure. The Rewind Technique is known for its gentle approach. It can be used for trauma and phobias without increasing stress or re-traumatising a client. Forty-five minutes later, Ben stated that the memories, although still available, had lost their vivid nature and felt more distant. He was also able to recall the time without a strong emotional content. When I saw Ben a week later, he said he felt calm about recalling that incident and the sense of guilt was no longer with him. He had also “tested” his level of arousal towards scenes of blood and physical injury by watching a considerable number of episodes of Grey’s Anatomy – a TV show set in a hospital emergency ward. Previously he said he would have had to look away from the screen during critical moments with revulsion; now he reported a quite understandable sense of mild squeamishness at some moments but they were far from unbearable. All testimonials have been reproduced with the permission of each client. If appropriate I am able to do home visits if required. I work weekdays 9 a.m. - 6 p.m. I am also able to offer evening and/or weekend appointments if required.